Scooper - Technology News: Was the Eurozone crisis a government or market failure? Was the Eurozone crisis a government or market failure? The attempt to formulate a consensus view of the EZ Crisis is difficult. Not only is there dissent on the role of wage developments in the individual member states (Storm 2016), but also on the fundamental question of whether the disaster was caused by government failure or market failure. How do the authors justify this surprising acquittal of the market? They acknowledge that in the case of Spain and Ireland “increased private borrowing (…) motivated by excessive risk-taking” has taken place. But instead of making private investors and bankers responsible for making wrong decisions which wasted private savings and required huge support from taxpayers, the authors put the whole blame on the state. It is accused of “stimulating” private bankers and borrowers by “an insufficiently regulated and supervised banking sector”. For economists who normally hold the principle of Eigenverantwortung (personal responsibility) in high esteem, this is an astonishing assessment. No banker was forced by the state to lend money and no investor was forced to spend money for unprofitable projects. There is no doubt that better regulation would have been useful, but does this excuse the severe misjudgements of market participants. Can a driver that caused an accident because of driving too fast on a mountain road blame the state for not having erected a speed limit sign? Thus, if one does not adopt a very paternalistic view of the government’s role in the economy, weak regulation is no excuse for the massive market failure that took place during the period 2000 to 2008. How was the Eurozone saved? The disruptive effects of ‘market discipline’ could only be stopped by Mario Draghi’s bold “whatever it takes” assertion that shifted the financial markets from a bad to a good equilibrium. Thus, without strong guidance by the state (represented by Mario Draghi), financial markets would not only have destroyed the euro they would also have inflicted a lot of damage to themselves. And in contrast to the view of Feld et al. (2016) the improvement of the economic situation in the Eurozone is not due to “successful fiscal consolidation”. Under the protective umbrella of the ECB, the problem countries of the Eurozone were able to avoid excessive austerity. On aggregate the structural deficit of the Eurozone was reduced only by 0.3 percentage points from 2013 to 2015 (European Commission 2015). Spain, which Feld et al. (2016) mention as an example of “successful consolidation” even increased its structural deficit from 2013 to 2015 by 0.6 percentage points. As a consequence, in 2015 Spain was the advanced economy with the second largest budget deficit, behind Japan. Thus, the end of the recession in the Eurozone is not the result of “successful consolidation” but of a silent paradigm change which stopped the procyclical austerity policy of the years 2010 to 2013. “While the European Stability Mechanism limits the risk of contagion effects, thereby increasing the credibility of the no-bailout clause, government creditors may undervalue risks due to the availability of crisis assistance. The European Stability Mechanism will not bring about full market discipline unless it is complemented by insolvency proceedings for sovereigns, such that in severe crises a restructuring of sovereign debt becomes a precondition for European Stability Mechanism support.” (Feld et al. 2016b). The organising principle of “full market discipline” would be difficult to reconcile with a crisis narrative that puts severe market failure in the foreground. If it is true that the markets were saved by the governments from the consequences of irrational exuberance, how can one ask for an institutional framework where the same markets shall discipline the governments? Feld et al. (2016) do not elaborate how the introduction of a formal insolvency regime would avoid such self-fulfilling liquidity crises that can degenerate into solvency problems and the dynamics that can force countries into a bad equilibrium (De Grauwe and Ji 2016). Especially due to the specific insolvency risk which is caused by EZ membership (Bofinger 2016), it seems likely that an explicit insolvency regime for sovereigns could make the system even more unstable. In addition, in the world of Maastricht 2.0 some governments could come into a situation where they are no longer be able to stabilise the economy in a severe recession. With exposure limits for government bonds in bank portfolios and an explicit insolvency risk, governments could come into a situation where they are no longer able to finance the deficits that are required to stabilise the economy. Maastricht 2.0 transforms the Eurozone into a gold standard without gold. But the principle of ‘full market discipline’ is also at odds with the crisis narrative of Feld et al (2016a). Their paternalistic interpretation of the crisis acknowledges that in order to function properly the banking sector needs to be regulated and supervised by the state. Thus, it implicitly accepts that financial markets have to be under the control of the state and that the state possesses a superior rationality. But how will it then be possible that the same markets exercise ‘full discipline’ over the state? The debate over the future of the Eurozone makes clear that a fundamental decision has to be made. 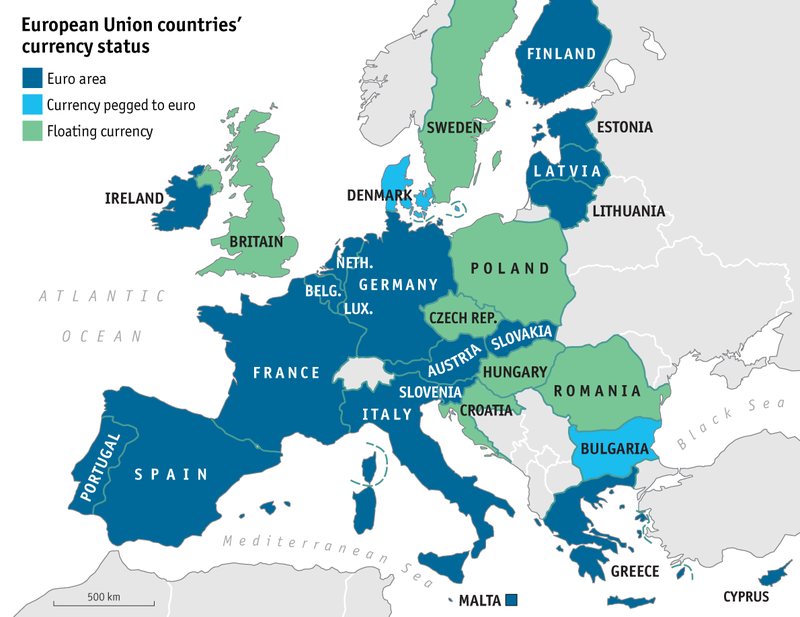 Do we want a monetary union where financial markets have the say over the economic and political destiny of the member states? Such a regime requires a collective rationality of financial markets as supervisors of governments for which so far no convincing evidence has been provided. In medicine nobody would prescribe a therapy with so little knowledge about its effects. The alternative is a monetary union where the financial markets are under the control of the state. But if the member states are not ‘disciplined’ by the market, the system needs an effective political mechanism for controlling fiscal policy at the European level. There is no doubt that the intergovernmental approach of the Stability and Growth Pact had not been very successful. Thus, effective political discipline requires the transfer of national sovereignty to the European level and a strengthening of the European Parliament. For the long-term survival of the Eurozone, the choice is between ‘market discipline’ and ‘political discipline’ exerted at the European level. Currently both alternatives are not very attractive. But it should be clear that ‘market discipline’ is not a mechanism which is exerted by small atomistic players. Global wealth is highly concentrated. Oxfam (2016) has shown that in 2015, just 62 individuals had the same wealth as 3.6 billion people – the bottom half of humanity. Due to large asset management firms like BlackRock and Goldman Sachs, the de facto concentration of power on financial markets is even bigger. Thus market discipline means de facto a regime of plutocracy for the Eurozone. Bofinger, P (2015) “ German wage moderation and the EZ Crisis ”, VoxEU, 30 November. Bofinger, P (2016) “ The way forward: Coping with the insolvency risk of member states and giving teeth to the European Semester ”, VoxEU, 12 February. De Grauwe, P and Ji, Y (2016) “ How to reboot the Eurozone and ensure its long-term survival ”, VoxEU 12 February. Delors Report (1988) Committee for the Study of Economic and Monetary Union, Report on Economic and Monetary Union in the European Community . European Commission (2015) Report on Public Finances in EMU 2015 . Feld, L, C Schmidt, I Schnabel and V Wieland (2016a) “ Causes of the Eurozone crisis: A nuanced view ”, VoxEU, 22 March. Feld, L, C Schmidt, I Schnabel and V Wieland (2016b) “ Completing Maastricht 2.0 to safeguard the future of the Eurozone ”, VoxEU, 23 March. Hayek, F A (1960) The Constitution of Liberty, University of Chicago Press. Oxfam (2106) “An Economy for the 1%”, 18 January. Rebooting Consensus Authors (2015) “ Rebooting the Eurozone: Step 1 – Agreeing a Crisis narrative ”, VoxEU, 20 November. Storm, S (2016) “German wage moderation and the Eurozone Crisis: A critical analysis, INET”, 8 January.